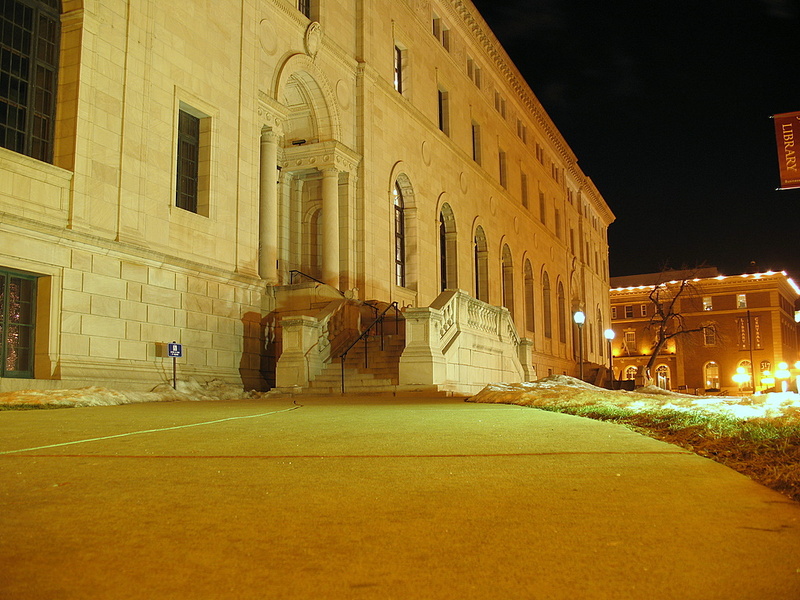 Named after successful business man, James J Hill, the downtown St Paul library has been around since 1921. An early settler in St Paul, James J Hill is well known for his success in the railroad industry. The library is located at 80 West 4th Street. The view of the library is on the north east corner of the building. I love the night lights, I love to boogie on the disco rounddddd.......huh, not the song? OH. The building looks neat, made when they took pride in them. What a stunning sight! Bet it will look lovely whichever angle.